Migraine is one of the most common medical conditions as it affects millions of people everywhere around the world. It is common to feel an aura prior to the actual migraine. Aura can be characterized by tingling in the arms and legs, blind spots, zig zags and flashes of light in the vision of a patient. The most common symptoms of migraine itself include sensitivity to sound and light, nausea, vomiting, painful sensations which get aggravated by physical activity, throbbing pain, pulsating pain and severe or moderate painful sensation on both sides or just one side of the head. One of the best natural remedies for migraine is an herb called feverfew. This herb is botanically referred to as Tanacetum parthenium and it has been used for numerous centuries as a very potent treatment option for all those who suffer from fever, painful sensations, arthritis, headaches and migraine. Numerous scientific studies have shown that feverfew is very potent in the treatment of headaches and migraines, but it still may be associated with certain side effects such as nervousness, vomiting, nausea, diarrhea, gas and abdominal pain. 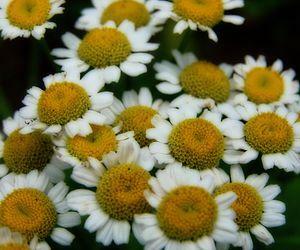 Pregnant and breastfeeding women should not use feverfew. Those who are allergic to yarrow, ragweed or chamomile also need to steer clear of this herbal remedy. Feverfew is also known for interactions with certain types of medications such as NSAIDs and blood thinning medicaments. A certain compound produced in the human body from the amino acid tryptophan is called 5-Hydroxytryptophan and it is also very helpful for all those who suffer from migraine episodes. It is actually used for the production of melatonin and serotonin, and it can be purchased in most well equipped pharmacies in its supplemental form. The supplements are made from a plant called griffonia simplicifolia. Another potent natural remedy for all those who suffer from migraine is natural mineral called magnesium. This mineral can be obtained from whole grains, seeds, nuts, green leafy vegetables and nutritional supplements. It is an integral part of numerous reactions and processes in the human body. It is of utmost importance when it comes to proper bone health, blood pressure, immune function, heart rhythm, nerve function and muscle function. When taken in excessive amounts it may lead to confusion, irregular heart rate, low blood pressure, difficulty breathing, loss of appetite, nausea and diarrhea. Another potent remedy is an herb called butterbur or petasites hybridus. Side effects of this remedy include constipation, diarrhea, vomiting, nausea, fatigue, headache and indigestion.